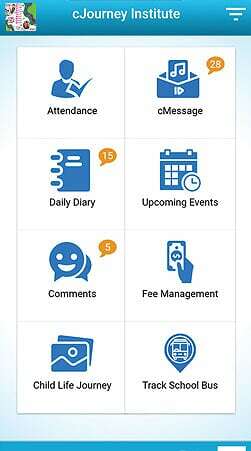 cJourneyTM is the most secure and reliable digital product suite which makes School – Parent communication easy and convenient. It has been awarded among "The Top 10 Most Promising Education App provided in 2017" by Silicon India/US Magazine Group". CjourneyTM helps in improving the interaction between the parents and teachers by using digital channel and technology. 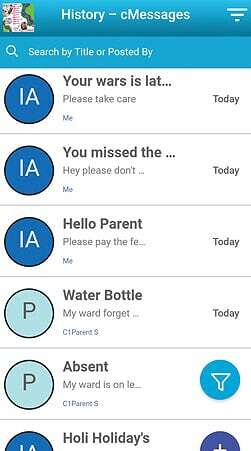 It's features include sharing multimedia content (audio, video,pictures), Fee management i.e sending reminder to the parents about the fees , daily attendance, food diaries, effective GPS and much more. Parents can now be a part of child's learning journey and can provide feedback on day to day basis. 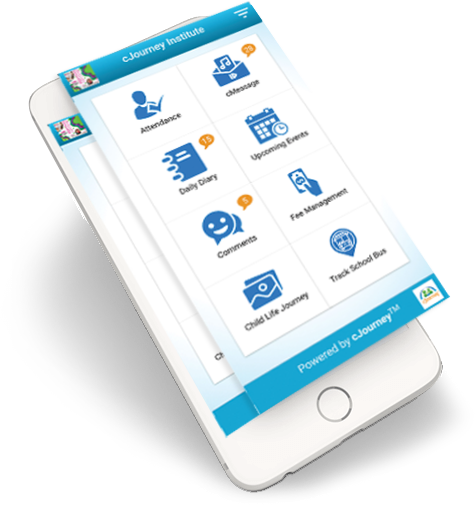 Teachers can easily keep record of the daily activities of kids in digital form and send them to the parents anytime. 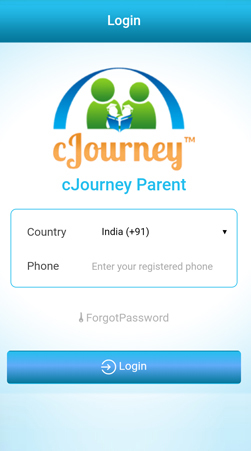 Why should parents choose cJourney? 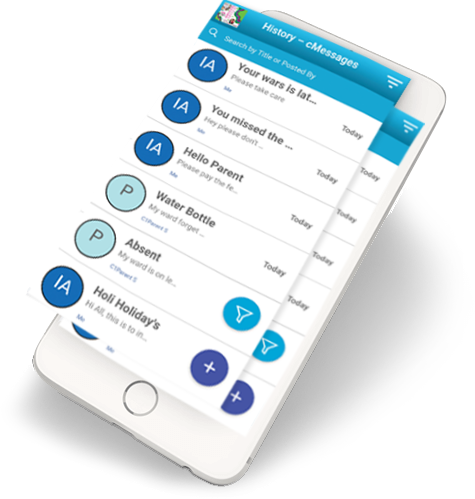 Stay up to date with your child’s progress through seamless communication with teachers at any time with a single tap. Create an album of all the photos of your child. 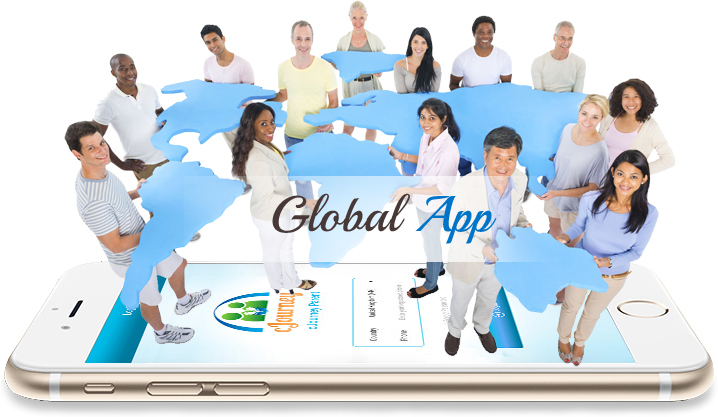 Share the beautiful memories with family and friends instantaneously. Your child’s safety is our concern. You can track the live location of the vehicle in which your child is travelling and connect with the school or driver at any time with a single tap. What is cJourneyTM ALL ABOUT? Improves efficiency by ensuring timely sharing of information. Enhances the relationship between schools and parents. Why should institutes choose cJourney? 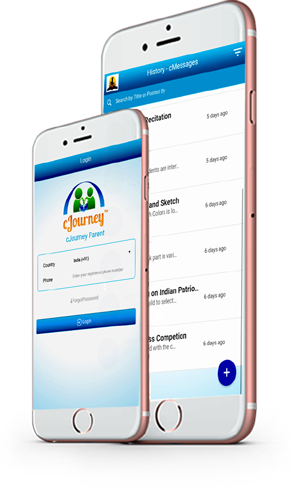 In this technology oriented world build a stronger identity of your school through branding in cJourney apps. Consolidates all parent teacher communication into an integrated system. Engage with all parents at one go with a single tap. Institute Administrators can easily manage the staff, students and fees through digital means and hence reducing paper work. Generate digital fee receipts for all children at one go. Share these receipts with parents instantaneously over email.